Asus has this week announced the addition of a new convertible notebook to its range of ZenBook UX devices with the official launch of the new Asus ZenBook Flip UX360CA that comes equipped with a 13 inch touchscreen display offering a resolution of 1920 x 1080 pixels or if your budget will stretch a 3200 x 1800 pixel IPS display. Internally the ZenBook Flip laptops in the range can be powered by a selection of different Intel Core M3, M5, and M7 processors that can be supported by either 4 or 8 GB of RAM. Internal storage can be 128 or 512 GB of M.2 solid state storage, and all come running Microsoft’s latest Windows 10 operating system. Graphics are provided by an integrated Intel HD Graphics 515 and the system also includes a HD web camera and connectivity is supported by Bluetooth 4.1 and integrated 802.11a/b/g/n/ac. Asus explains a little more about the specifications and design of their latest ZenBook Flip. 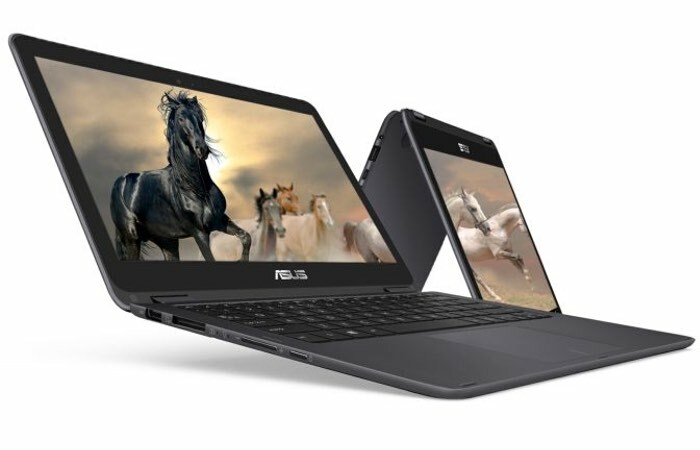 For more information and full specifications as well as the ability to order jump over to the official Asus website via the link below.